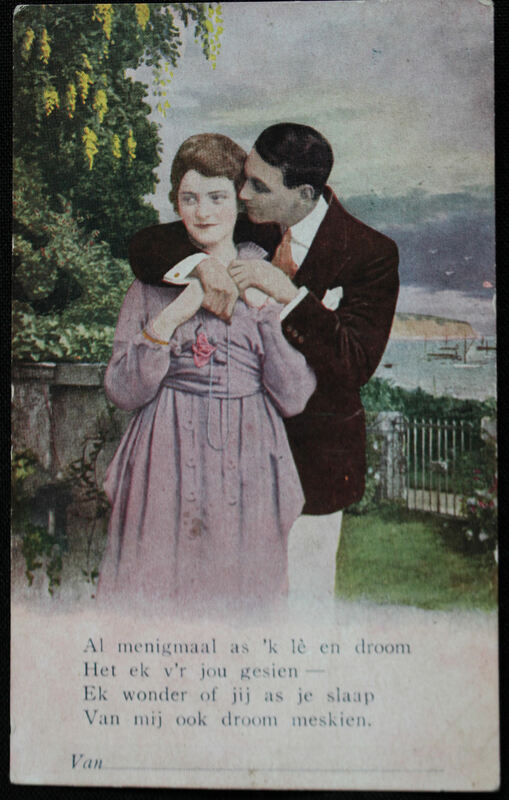 With the day of love coming up again, it is fitting to revive some old Afrikaans Valentine’s cards from a century ago. Little is known, however, about these cards that were donated to the Taalmuseum by a Ms Valerie Hough of George years ago. But unknown does not mean unloved! We will publish one every week and hope it will inspire you to conjure up original, creative love cards in Afrikaans for 2019. Feel free to post on Instagram and tag @taalmonument Also remember our Stargazing Picnic, Full Moon Picnic and ‘Minnesang en Maanskyn” concert with Leah and Karin Kortje taking place in Valentine’s month.